AFTER Picture of the Kitchen Remodel. The kitchen modern design incorporates an open floor design incorporating the associated grate room comfort, modern white cabinets with glass door cabinets, well designed workspace and entertainment areas. Cooks Kitchen and Bath created a universal design that smoothly blended the kitchen and other key areas of the home. 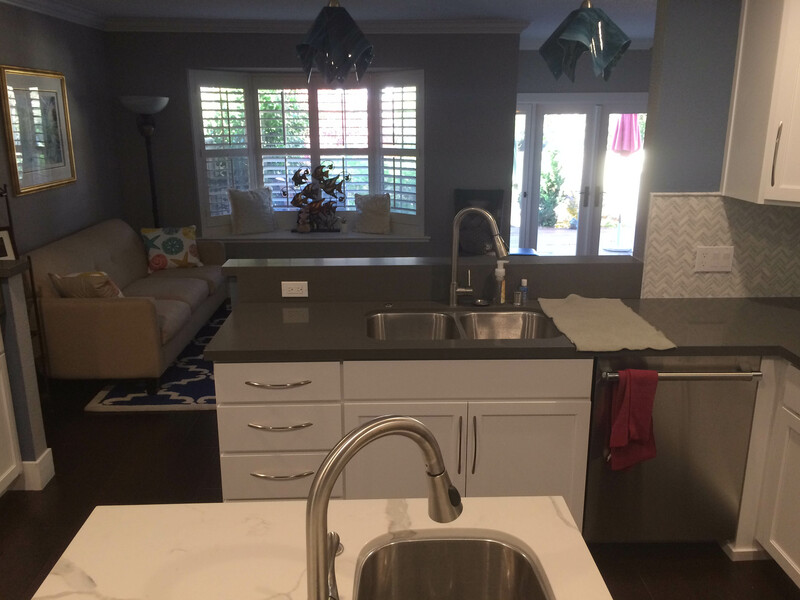 They are a general contractor, specializing in remodeling focusing on exceptional customer service. Thermador dishwasher, Thermador double combination built in oven, Zephyr Roma stainless steel vent hood, Thermador gas cooktop and Huntwood cabinetry.